Emma likes to craft and create. She especially likes receiving craft kits that are geared towards girls her age. One that she recently fell in love with is Charmazing. Emma received one of the Charmazing All Wrapped Up! sets. Hers was the Seasons Collection which included six charms and cards - Butterfly, Tulip, Tree of Life Spring, Tree of Life Summer, Tree, and Bird. Instructions are included and are fairly easy to follow. Using the beads, charms and thread Emma created three bracelets to her liking. She wears them frequently and can't wait to add to her Charmazing collection. Although a tween doesn't necessarily have to, she can download the exclusive Charmazing app on her smartphone and use it to scan the charms to create a collection. The more you scan, the bigger the points you receive towards becoming a Charmaster. There's also the option to add friends and see what their charm rankings are. Charmazing, to me, is a cross between craft kits, popular trading card games, and social media diversions. 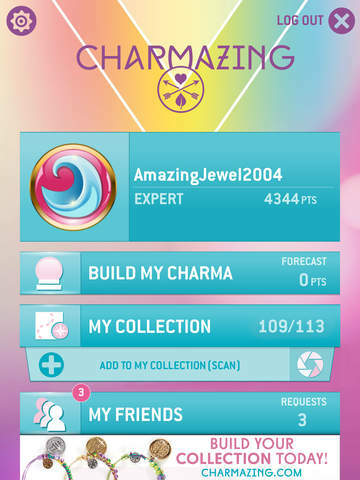 Although Charmazing doesn't require downloading the app and playing it, I think it enhances the whole experience. Charmazing is only available at Toys 'R Us. There's not one in my area but I plan on adding to Emma's collection by purchasing them online.